The Expert Advisor trades based on price jumps with the elements of a grid strategy that can be turned off. 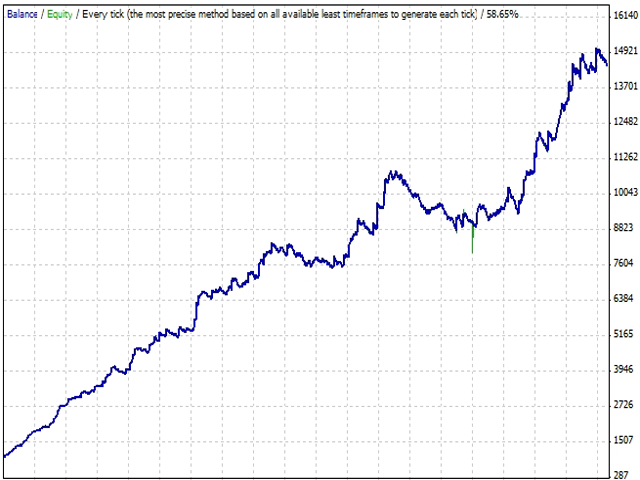 It gets adapted to the current market situation, uses time and price data, works with market and pending orders. VSP is required for flawless operation, minimum deposit is 1000 units of the base currency. The EA is designed to trade EURUSD, GBPUSD, AUDUSD, USDJPY, USDCHF, USDCAD, NZDUSD, EURJPY, EURGBP, EURCHF. If the price moves in the direction opposite to the open position, a pending order will be placed at a preset distance to follow the price. A pending order will be modified only if the price continues to move in the wrong direction. Thus, we achieve the most favorable positions of new deals. 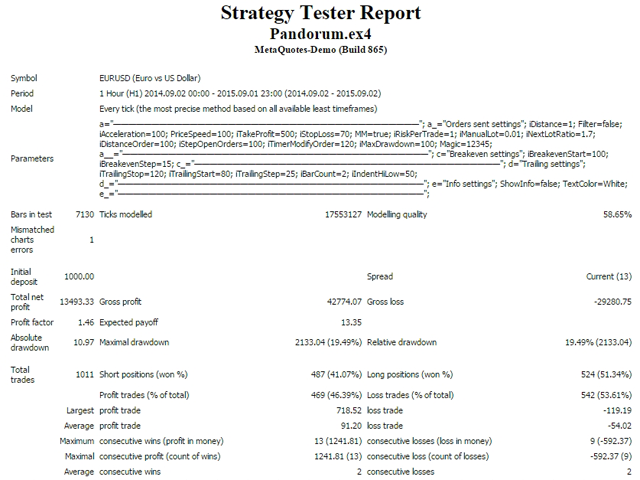 Multiple positions can be opened at one price depending on the EA settings and the price behavior. If one position is in the market. The first modification of stop-loss is the breakeven level, then point-based trailing stop is activated and works till a distance specified in the EA settings "TrailingStop". After passing the distance, trailing by previous Hi-Lows of bars is enabled. Specify a timeframe and a number of bars in the EA's settings to look for extrema. The switching trailing stop allows to maximize the profit. If several positions are in the market and the grid strategy is used. All deals are closed by a common profit. Some deals can be closed with a small loss, but the total profit of closed orders is always greater than the loss. 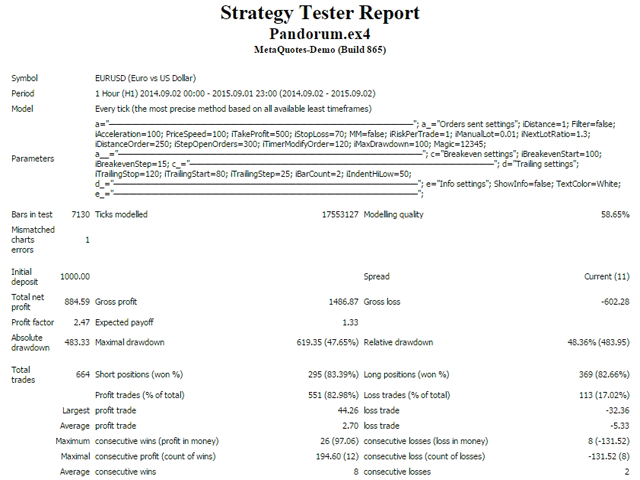 All positions are closed by trailing stop. Position closing prices may differ, depending on the speed of order execution on the broker side. TrailingStep – trailing stop step. TextColor — displayed data color. Сегодня советник первый день на терминале,пока позиций не открывает. Посмотрим что будит дальше.